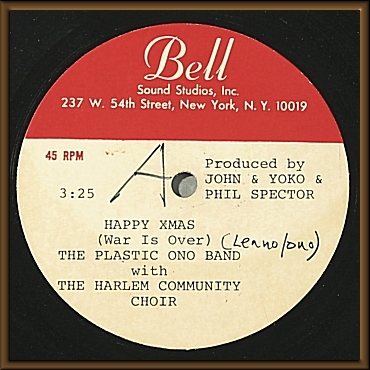 An original "Happy Xmas (War Is Over)"
b/w "Listen, The Snow Is Falling" acetate recording, produced by John, Yoko, and Phil Spector, having handwritten and typed notations on Bell Sound Studios label. In 1970 Lennon and Ono campaigned for world peace, renting billboards with the slogan "War Is Over! (If You Want It)" in 12 cities. 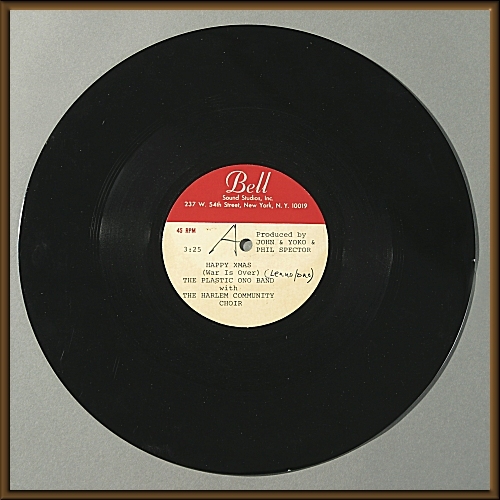 PROVENANCE: From the collection of Howard Smith. 10 inches diameter.